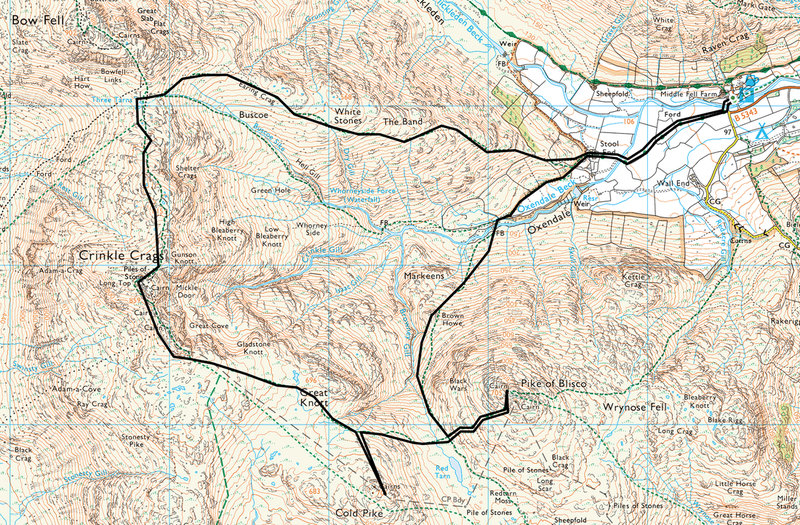 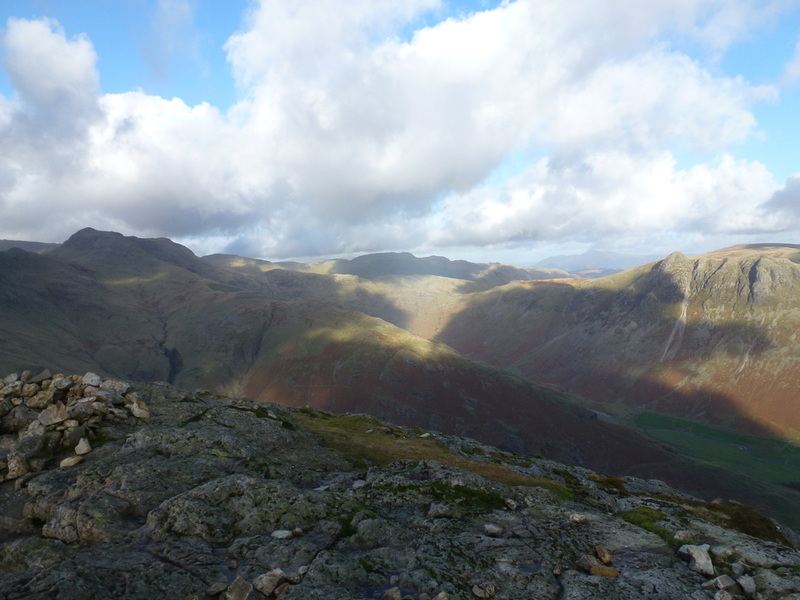 Very good paths apart from the pathless ascent of Cold Pike. 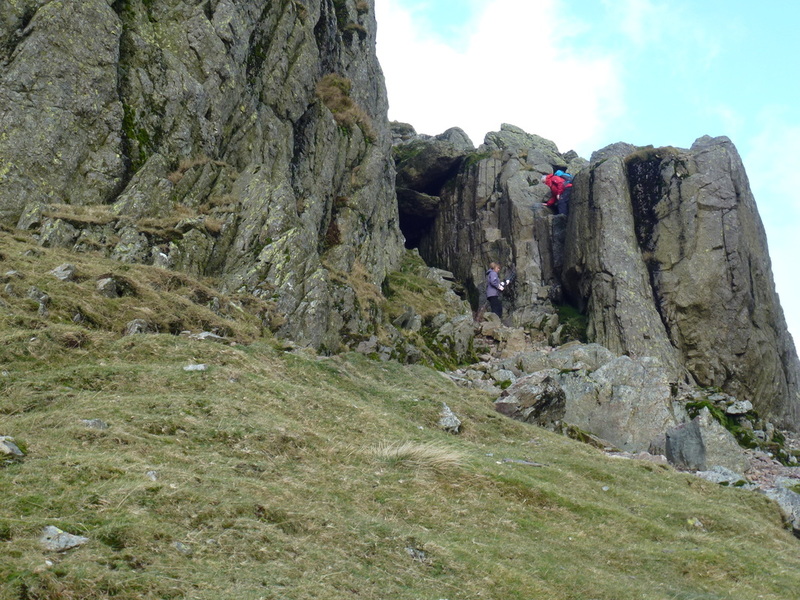 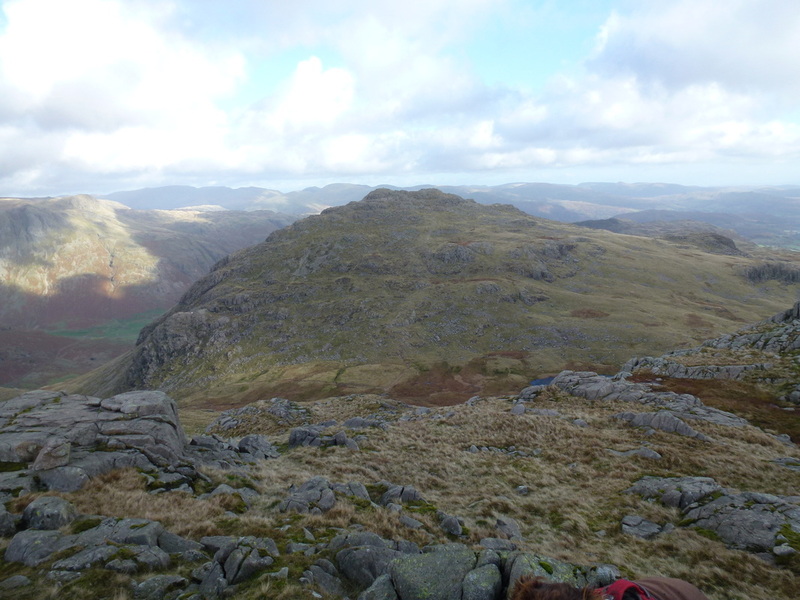 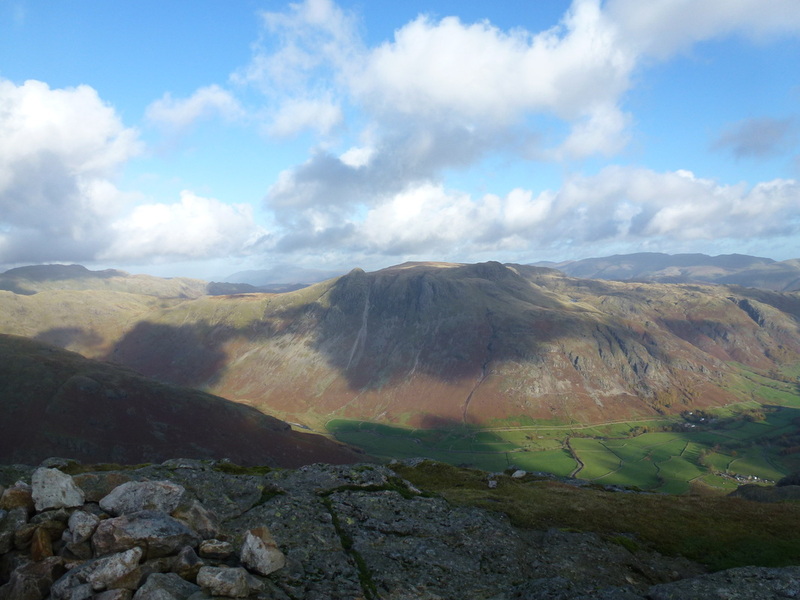 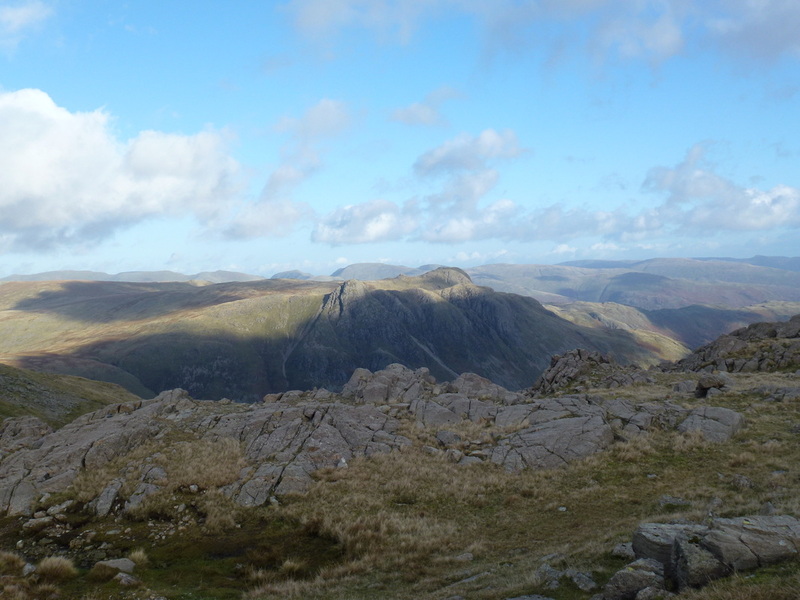 Care should be taken on Crinkle Crags. 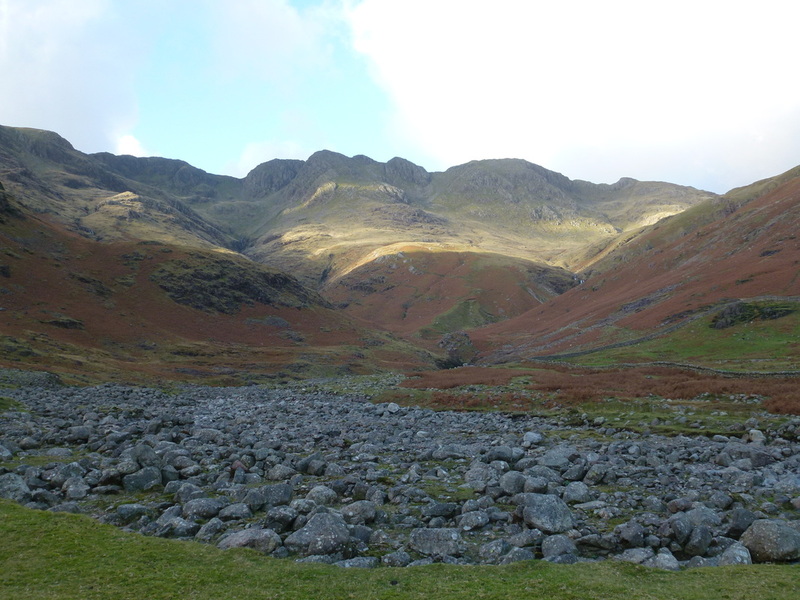 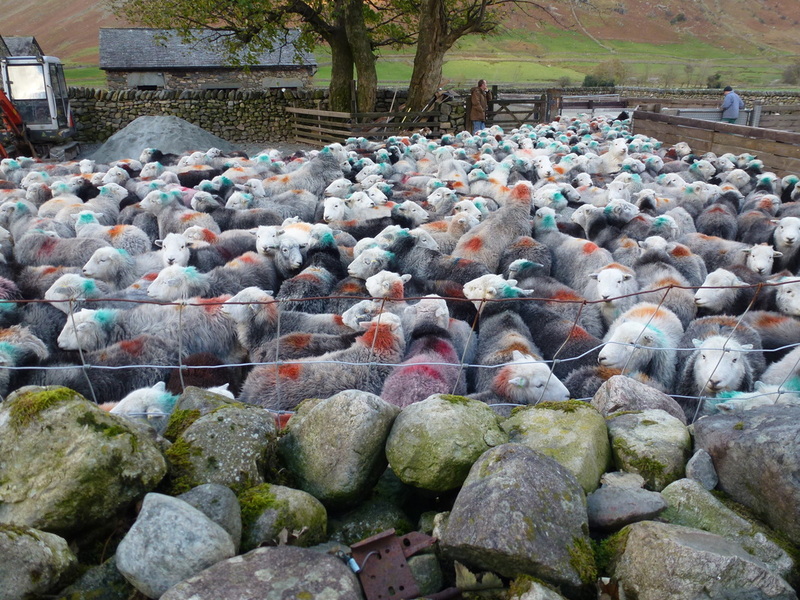 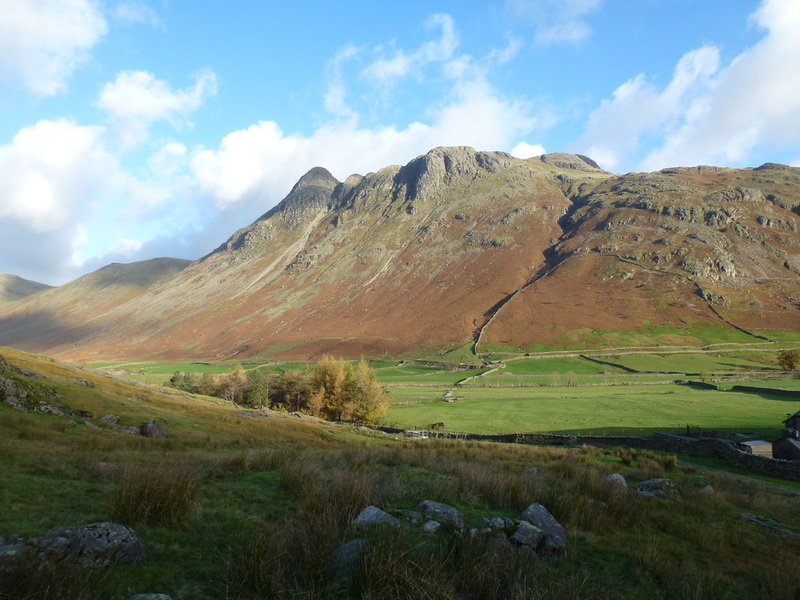 We had been looking forward to our first visit to the Langdale Valley for such a long time and it did not disappoint. 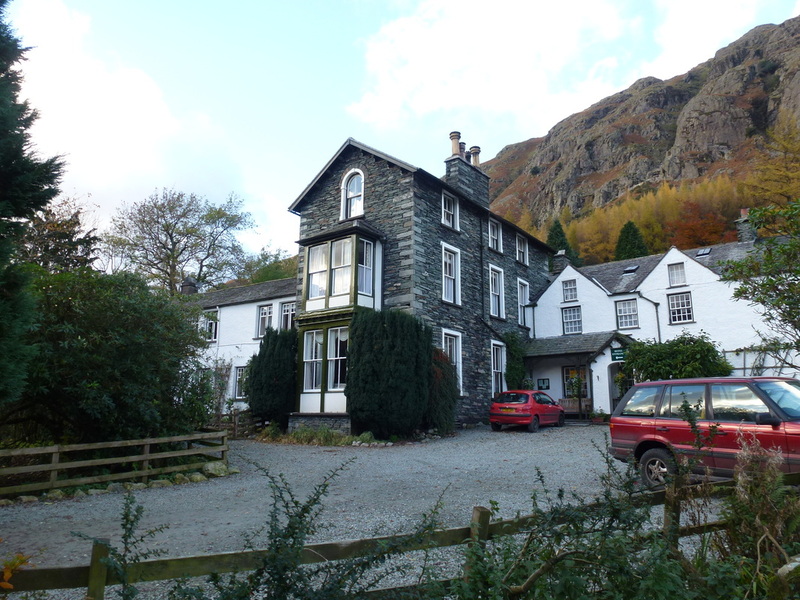 Todays walk started at the Old Dungeon Ghyll Hotel and we were there nice and early to pay a decent amount for parking in the Hotel Car Park rather than getting fleeced by the National Trust. 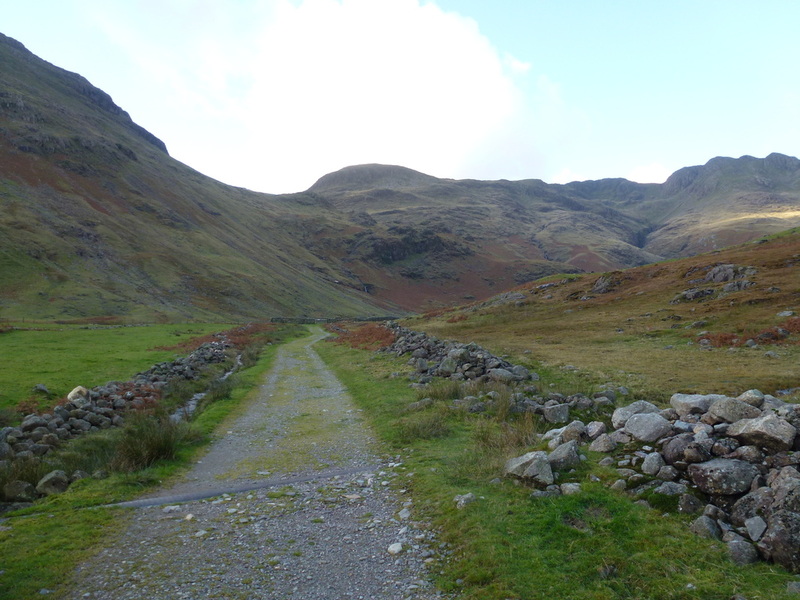 We were set fair with the weather and made our way through Oxendale and Stool End Farm to Red Tarn via the path between Brown Howe and Great Knott. 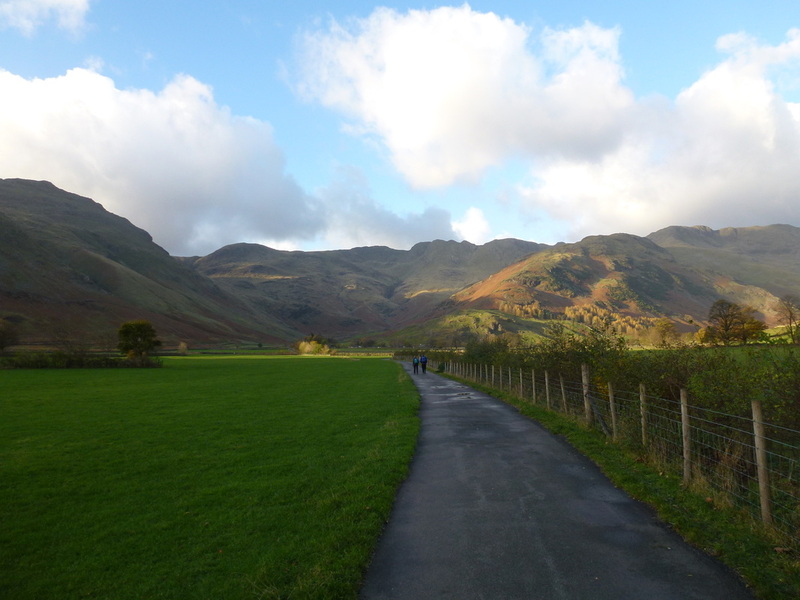 We took our time today as the views were so good during the entire walk. 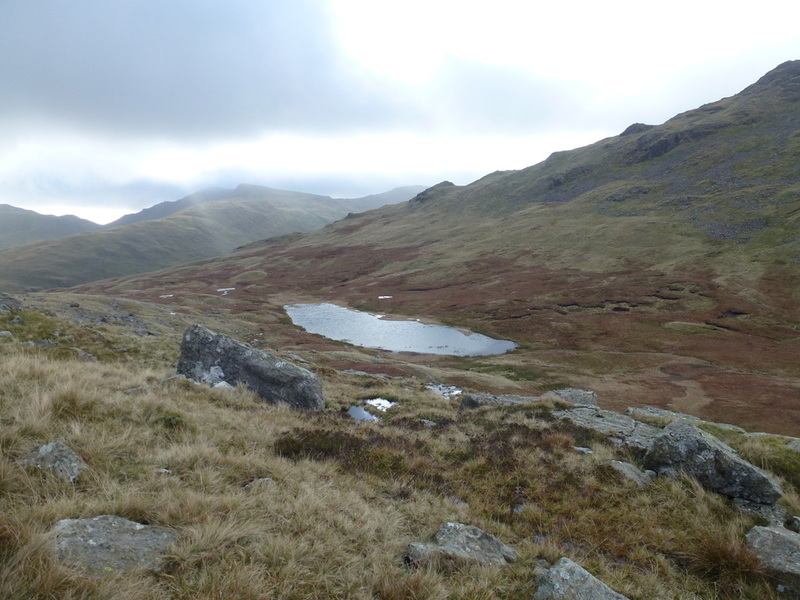 At Red Tarn we took the clear path up to the summit of Pike O'Blisco where the rest of our route to Crinkle Crags stretched out before us. 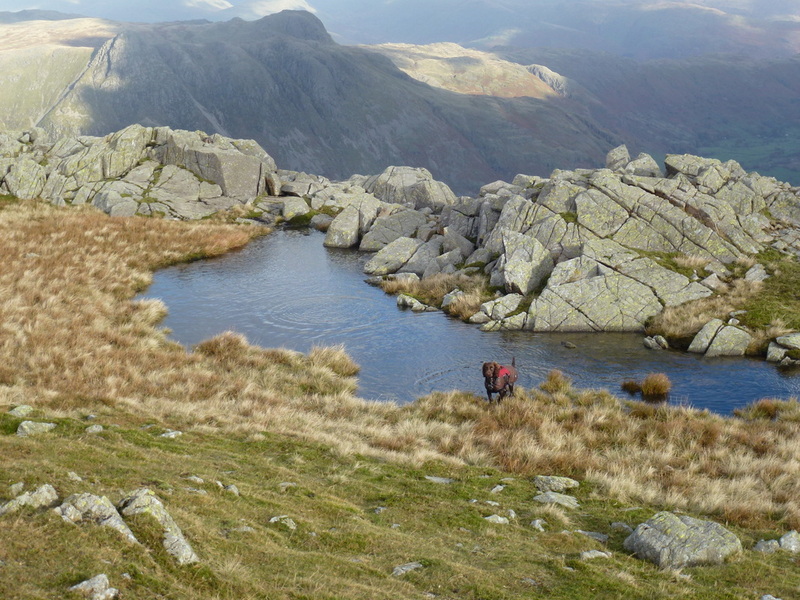 Leaving the Summit we returned to Red Tarn and followed the path to Crinkle Crags but made the short detour to Cold Pike. 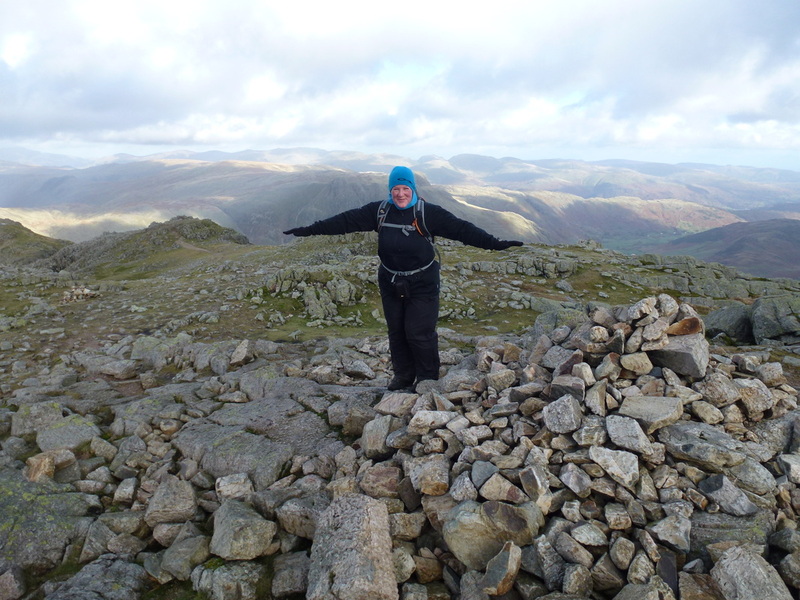 There is no real path to the top therefore we made a beeline for it and once bagged came back down the same way to rejoin the Crinkle Crags path. 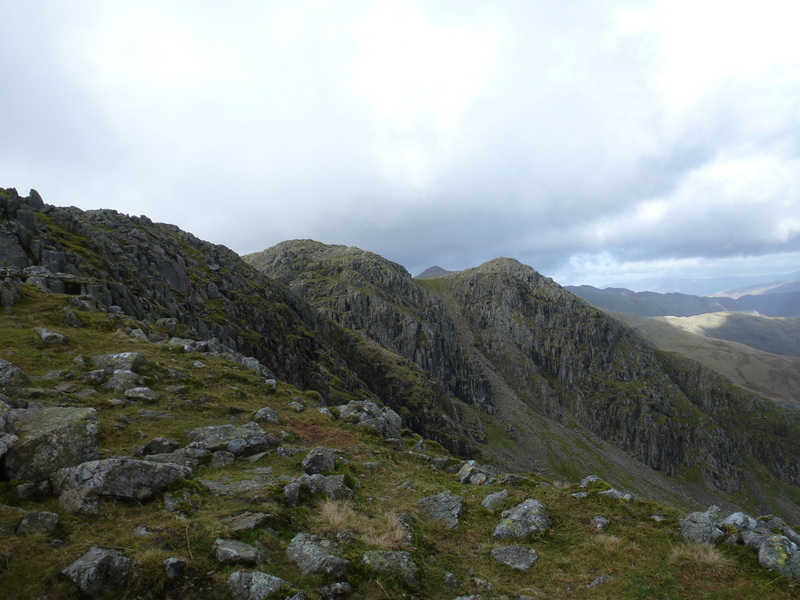 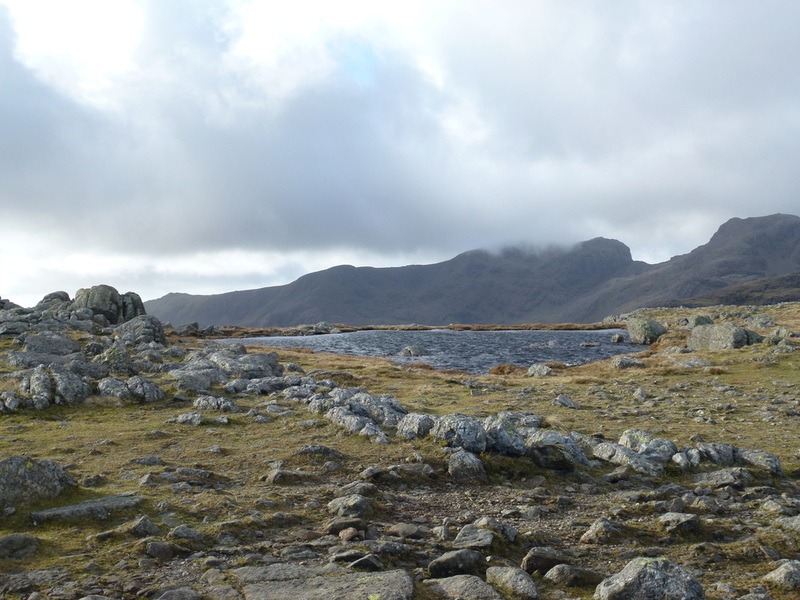 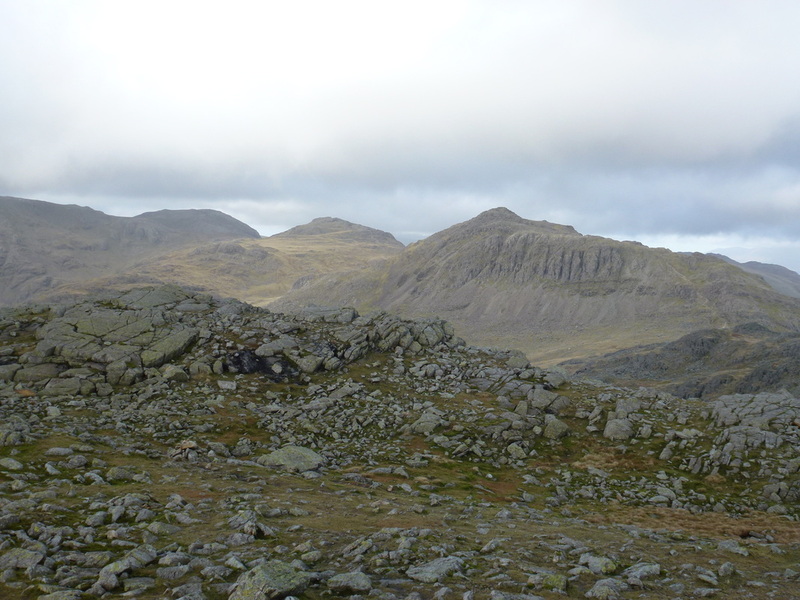 We then began the transit of Crinkle Crags which is an exhilarating ridge walk that has everything and it really is a mile to savour as you pass up and down the 5 Crinkles to reach Three Tarns and the junction with the path to Bowfell and the descent of The Band. 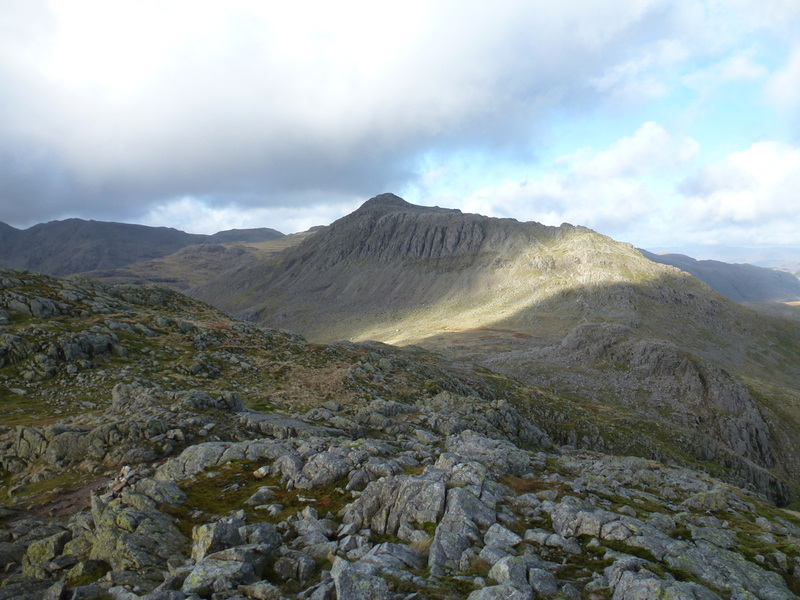 Time was against us otherwise we were very tempted to get up Bowfell as it was so close but we turned right and made a very pleasant descent on a good path down The Band to reach the farm at Stool End and the short walk back to the car. 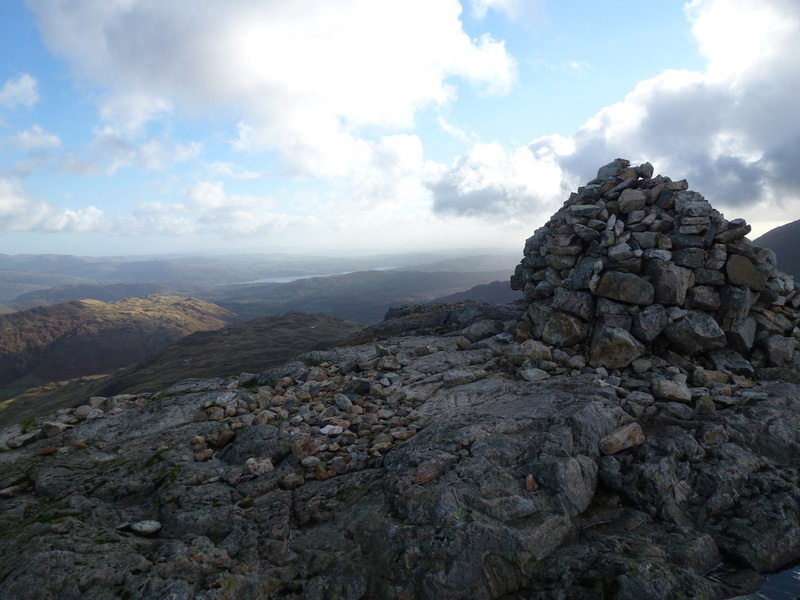 Another super day on the fells and we will certainly be doing this walk again at some point, this time adding in Bowfell for good measure. 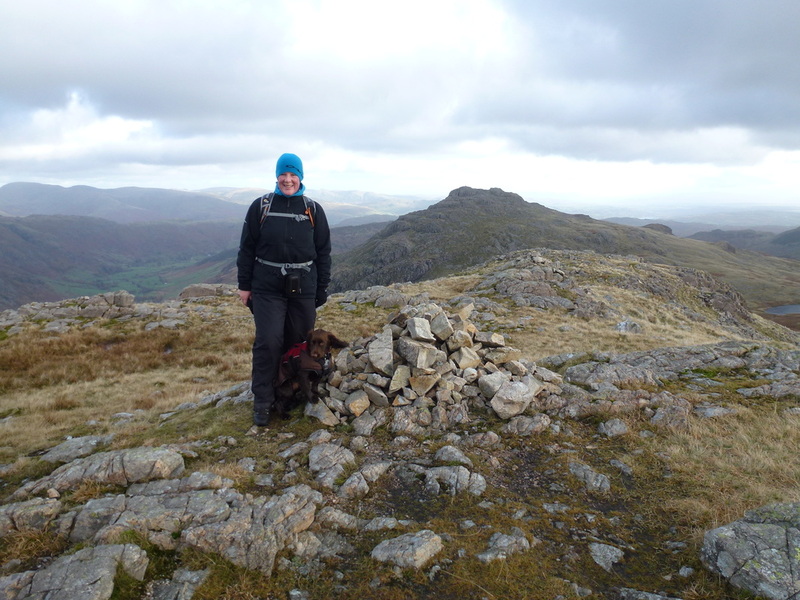 The notorious "Bad Step" up to the third Crinkle - not as difficult as it looks but definitely not to be climbed with a dog!